Eflyn’s 21.5” Catalog Kiosk is an interactive kiosk with smooth capacitive touch giving the user the ability to use the screen as efficiently as using their cellular device. brochures, pamphlets, cards and more for customers and guests to view and take from. Catalog Kiosk. The Small. The Powerful. What is small and powerful you ask? Well our Catalog Kiosk is. Yes, the kiosk is indeed small compared to our other freestanding kiosks but it has the same performance capabilities as our biggest freestanding kiosk, impressive…yes definitely. 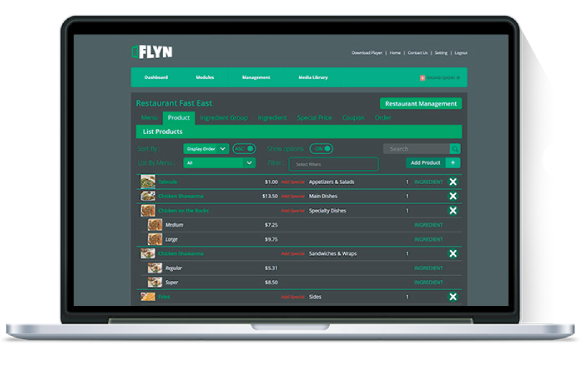 At Eflyn, we believe in applying the best of our tech to all of our line of products regardless of size, weight and popularity. Through the use of our content management system called Saigon, you will be able to manage your content whenever you wish. Saigon CMS can be accessed on any computer and with the help of internet connection. Whether it be information or visuals, you’ll be able to instantly add, change, edit and update your content on to the kiosk like magic. Simple and easy to use. 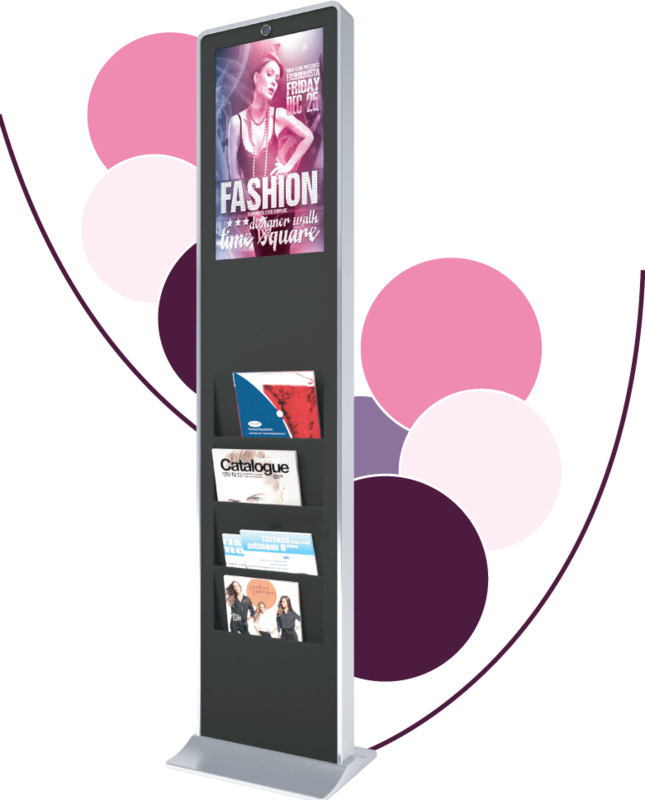 Our 21.5” Catalog Kiosk is one of a kind, because of its distinct feature of not being used for only digital purposes.